San Francisco State University senior Stephren Ragler is an Associated Students board member and local youth mentor. “The great force of history comes from the fact that we carry it with us. ... History is literally present in all that we do." For many, Black History Month is a time to celebrate the black leaders of the past who paved the way for a freer society. But for faculty and students across the San Francisco State University campus, it’s about more than looking back. Fischer points to campus groups such as the Black Student Union that celebrate black culture and history on an ongoing basis. As Black History Month draws to a close, other members of the San Francisco State community shared what it means to them and how they’ll be keeping its spirit alive year-round. During the era of segregation, Professor Yumi Wilson’s father escaped Jim Crow laws by joining the Army to travel the world. While some of the repressive laws he was running from are gone, many of the issues he faced as a black man in America have not disappeared. As president of the Journalism and Women Symposium, a national group that promotes diversity and the empowerment of women journalists, Wilson says she’s able to speak up for what she believes in. For instance, the group recently stood up for female journalists including CNN’s April Ryan by denouncing President Donald Trump, who publicly insulted her. “Some things you wait patiently for, and some things you need to call out and bring attention to,” Wilson said. She says historical figures like Rosa Parks have influenced the way she lives her life. SF State student Stephren Ragler says he never thought much of school while growing up in San Francisco’s Bayview-Hunters Point neighborhood. But after connecting with Upward Bound, a federally funded program that helps students in their pursuit for higher education, he got on track while learning about the importance of black history. A pivotal moment came when he witnessed a bit of black history in person. Now Ragler uses those communication skills to inspire young people. 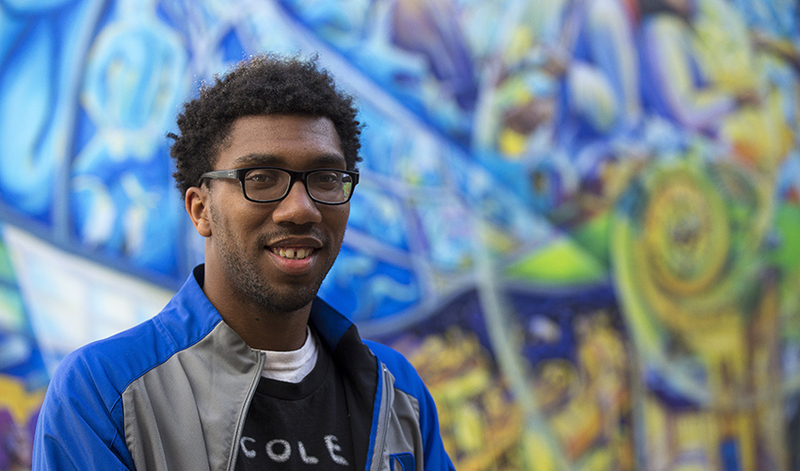 As a youth worker for the 100% College Prep community program servicing San Francisco’s housing projects, he walks elementary school students to school every morning in an attempt to improve their attendance. He says it’s his way of giving back and remembering black icons of the past. Through courses like “Women in Literature” and “Modern American Novel,” Professor Sarita Cannon introduces SF State students to the stories and experiences of black people. Some of the writers she highlights, such as poet and activist Audre Lorde, are dead, while others, such as Toni Morrison, remain active today. Yet Cannon says voices from both groups still reach her students loud and clear. For Cannon, Black History Month shouldn’t just be another opportunity to celebrate writers like Lorde and Morrison. Voices from other cultures should be heard, too — especially the ones that have been ignored in the past. When Dr. Martin Luther King Jr. was shot and killed in April 1968, Professor Mark Allan Davis was a child. He recalls his mother sobbing uncontrollably for weeks, but also remembers how black artists responded by using public platforms to honor the fallen civil rights leader. Growing up as a black gay man, Davis continued to see a connection between black history and the arts that inspired him as a theatre artist and now as an educator. Today he encourages his students to explore their identity through their own art, while remembering the sacrifices people made in the past.